In an age where music has surpassed traditional culture and has attained a western format, a few bands in the country still choose to stem from their roots. One such band is Agam, whose speciality is a perfect amalgamation of Carnatic music along with influences from rock and metal, creating a fine balance between music from two generations. Agam, derives its name from an ancient Tamil word which means ‘the inner self’. “Our music combines the myriad hues and intricate rhythm structures of Carnatic music and aesthetic principles from the western world.,” says vocalist Harish Sivaramakrishna. How did the band start off? 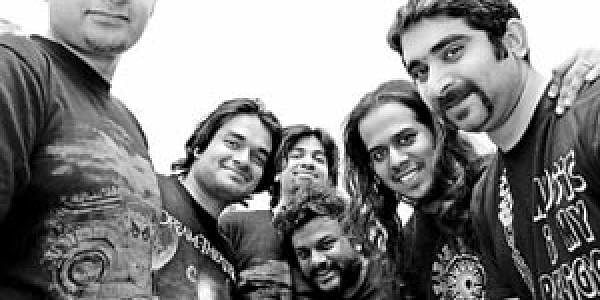 The current line up of the band also features guitarists Praveen Kumar and Suraj Satheesh, bass guitarist Vignesh Lakshminarayanan and percussionist Shiva Nagarajan. The band which will be performing in the city this Thursday, will be back for the fourth time. All that the singer has to say is, “Hyderabad is crazy. Every show we play, the venue is packed. People here know and follow music and the crowd is very chilled out. They are very vibrant people from different age-groups who attend our gigs. This makes us want to keep coming back to Hyderabad.” Agam will be performing live at Hard Rock Cafe in Banjara Hills on Thursday at 9 pm.